One of the downsides to owning a home is repairs are needed and happen quite frequently. They also seem to happen at the worst possible time. At Gates Exteriors we came up with a solution for all of our customers that need home improvements but don’t have the money readily available. Or maybe you want to start that project you’ve been dreaming about and don’t want to pay the outrageous interest rate that your credit card offers. We have the solution and it’s an extremely easy process. We offer loans from $1,000 – $35,000 with terms up to ten years! Everything can be done electronically and you can be approved in less than ten minutes! Please click the “Financing Available” link below or call us with any additional questions. 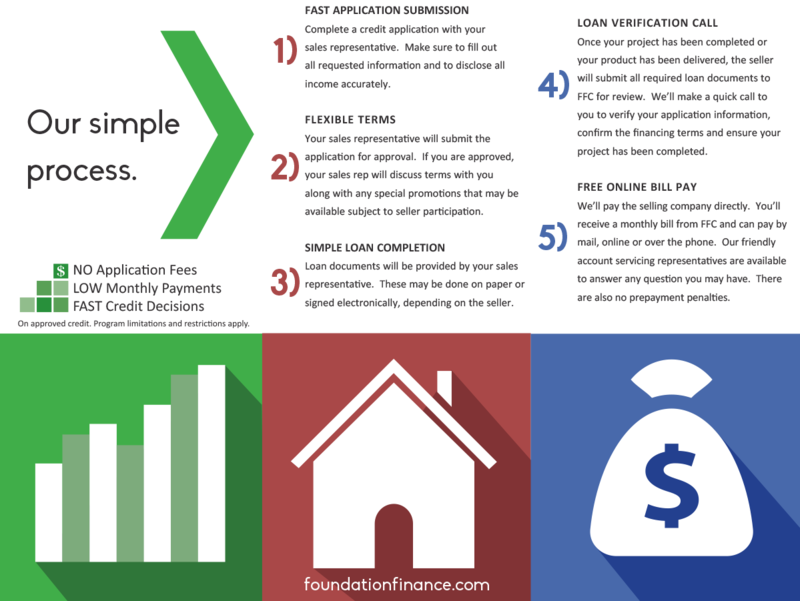 We make home improvement financing in Newark Delaware a hassle free process!